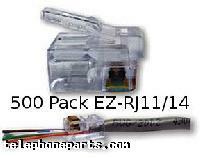 The EZ-RJ45 connectors feature openings that allow wires to be inserted, and extended out the front providing increased performance, wire sequence verification, and no wasted connectors, crimps, or bad terminations. 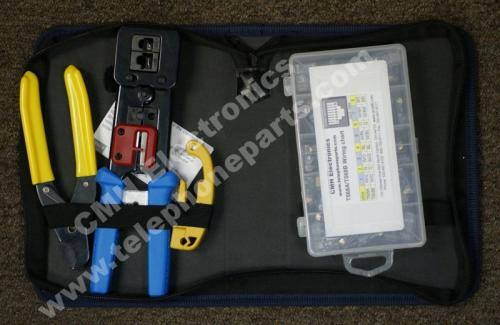 This allows the technician to easily verify the wiring order. 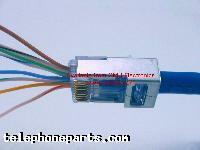 Electrical performance of the termination is optimized by pulling the connector down over the cable jacket and seating it tightly in the rear of the connector. Reducing the distance between the wire twists and contacts improves performance. 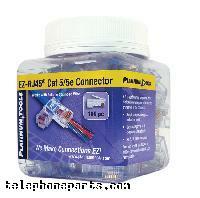 The EZ-RJ45 Connector shall meet FCC part 68 and Category 5e requirements when used with Leviton's EZ-RJ45 Crimp Tool. It shall be constructed with phosphor bronze contacts and a polycarbonate body. 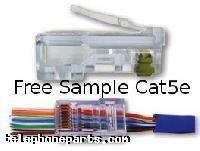 It shall allow UTP wires to extend through the body and out the front to verify wire sequence prior to termination. 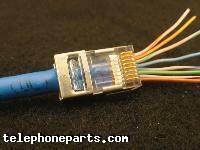 Through holes allow wire pairs to be inserted through front of connector. 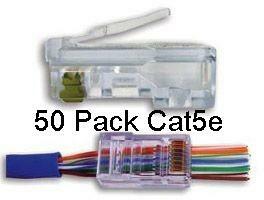 Available for Cat5, Cat5e, and Cat6. RJ12/11, and RJ45. 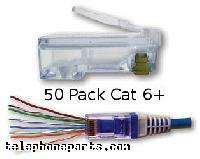 Bag of 50 EZ-RJ45® plugs, Cat5E, 8 pin RJ45 manufactured by Platinum Tools patented by Sullstar allows wires to pass through the connector prior to crimping to verify correct wiring, which means less errors, saves time and money. The EZ-RJ11 with an extended tab, use for easy plug removal from deeply inset jacks on specialized equipment. Great for plugs on test cables for ease of removal. 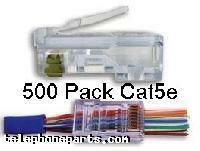 If you are working with CAT6 wire this is the kit we recommend, the new heavy duty tool is designed specifically for CAT6 wire since most CAT6 wire uses 23 AWG wire it places more force on the connector which our new tool is designed for.